Fermented foods are foods that have been through a process of lacto-fermentation in which natural bacteria feed on the sugar and starch in the food creating lactic acid. This process preserves the food, and creates beneficial enzymes, b-vitamins, Omega-3 fatty acids, and various strains of probiotics. Natural fermentation of foods has also been shown to preserve nutrients in food as well as help to make the food easier to digest. 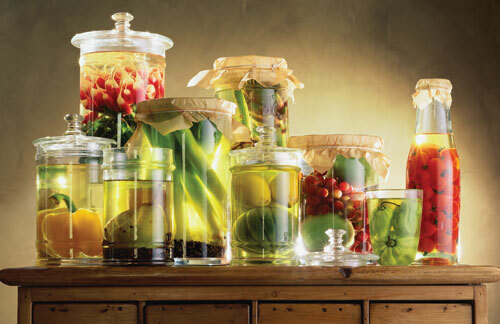 Some fermented foods are kimchi, sauerkraut, natto, kombucha, kefir, etc.